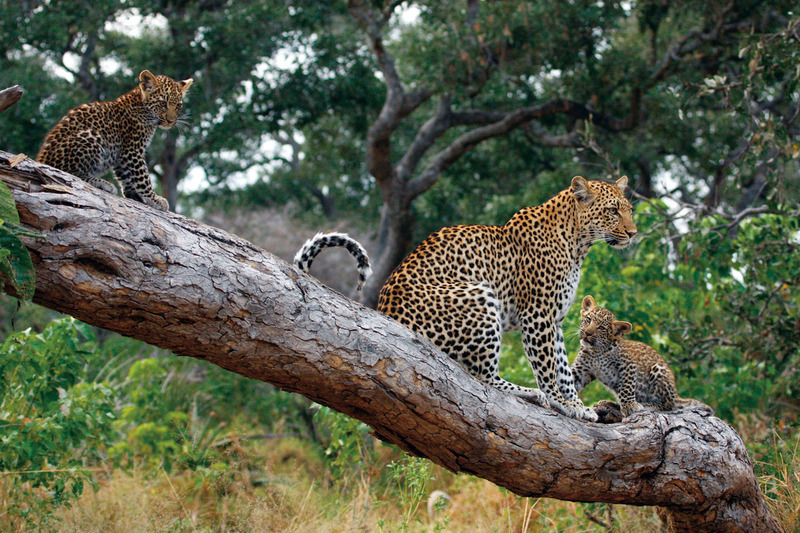 Africa never ceases to amaze me; just as I think I’ve seen it all I hear of another incredible wildlife experience and the planning for my next safari begins. 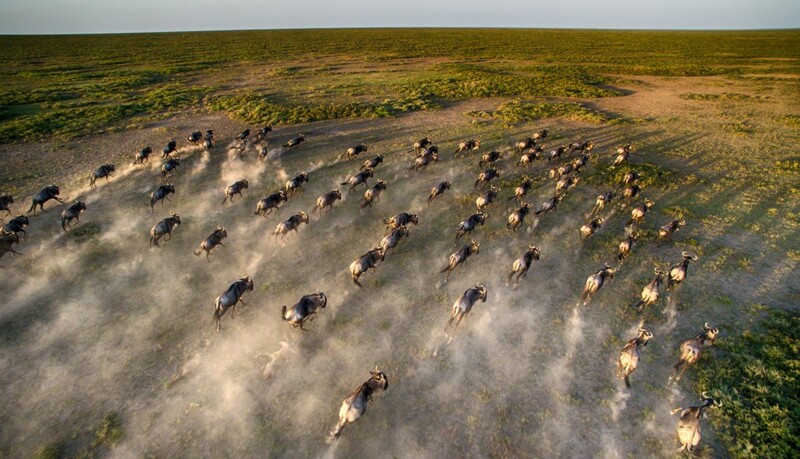 The wildebeest migration is world famous, spawning countless newspaper articles and making photographers such as the Burrard-Lucas brothers into TV personalities with their fast-forward migration video accompanied by dramatic music: BBC migration interview with Will Burrard-Lucas. There’s even a YouTube cartoon parody of a river crossing. I’ve seen wildebeest as far apart as their calving grounds in the southern Serengeti and hundreds of miles further north spread across the Masai Mara calmly grazing, despite the attendant dangers of the huge Mara lion prides. As they’re constantly on the move, driven by the need to follow the rains and find fresh grass, there’s always somewhere in Kenya or Tanzania to see the spectacle of a million wildebeest moving together. Our migration map shows you the best places and the best time of year for some close encounters. Mobile safari camps such as Serengeti Under Canvas move with the wildebeest as they migrate, heading south in Africa’s summer and north in the winter, using private campsites close to the action. 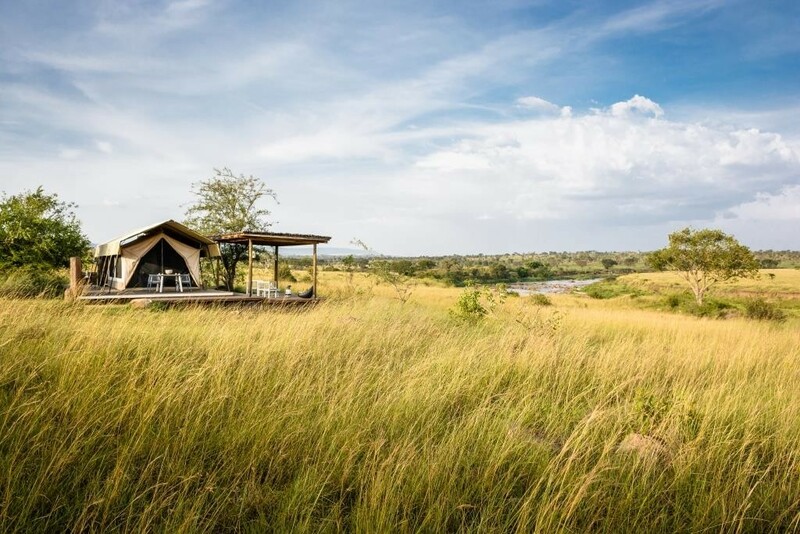 The tents all have proper beds, private bathrooms and comfortable seating areas looking out over the plains. The camps have dining tents too, although many meals will be taken alfresco. 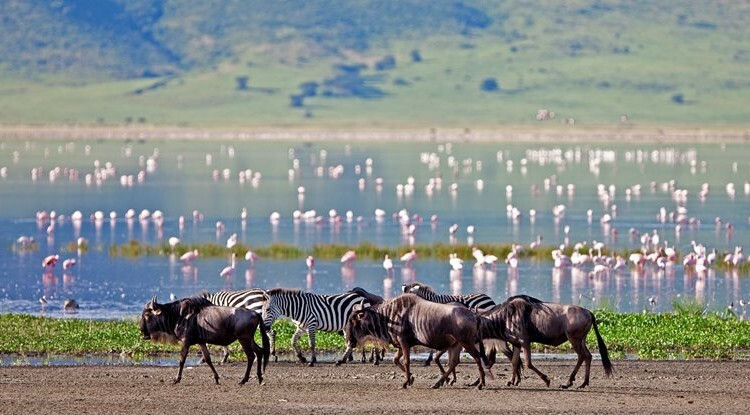 Think of the wildebeest migration as the icing on the cake of Africa wildlife. The numbers involved are jaw dropping and exciting action ensues when predator meets prey or the wildebeest cross a river. Zebras are the wildebeests’ less famous companions in the Serengeti ecosystem, but they also migrate huge distances in big numbers to find fresh grass. They often reach the Masai Mara ahead of the wildebeest herds and chomp down the tall grass before the wildebeest arrive. Away from East Africa 25,000 zebra are involved in another migration from the Okavango Delta to Botswana’s Makgadikgadi Pans. In the summer months, after the January rains, the arid salt pans are transformed and the new grass offers good grazing to the herds which are drawn 150 miles across the country. 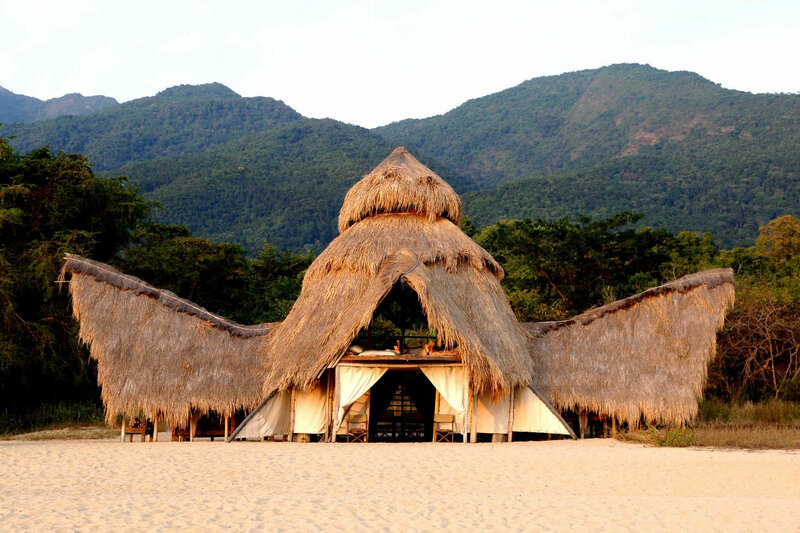 The team at Uncharted Africa are proficient at getting guests close to the action from their camps such as Jack’s Camp with its on-site natural history and anthropology museum of the Makgadikgadi region, or Camp Kalahari with its Meru tents and thatched dining room. Most visitors to Makgadikgadi do so in the dry winter months to enjoy the landscapes and search for evidence of early man on the moonscapes of the pans, but those who travel ‘out of season’ are rewarded with the impressive spectacle of thousands of migrating zebra and the predators they attract. If you’ve ever been subjected to someone’s whale watching holiday snaps, you’ll know that many boat-based excursions only see the tip of a distant fin or tail. That’s not the case in Hermanus which the World Wildlife Fund has in its list of top whale viewing destinations. Southern right whales migrate from the Antarctic to calve and mate off the coast of Hermanus in Walker Bay between June and November. Viewing in the earlier months, June to August, can be patchy depending on the numbers that have arrived, but by September the majority have migrated and sightings are almost guaranteed through to November – whether whale watching is done from land, or by sea in a boat or kayak. 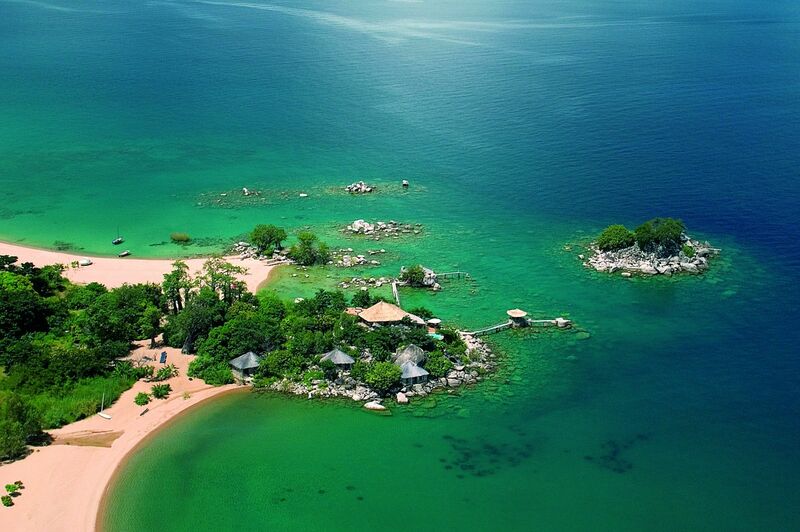 We’ve even had clients at Cliff Lodge spot whales from their room. 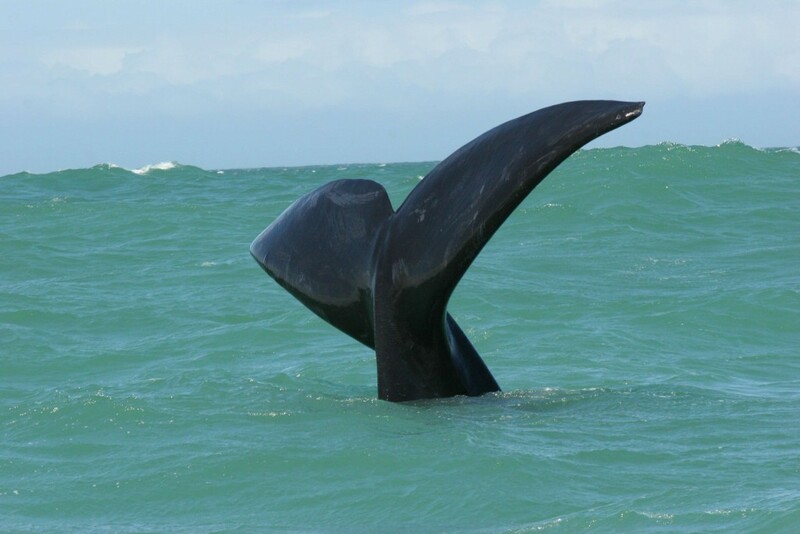 The tourist board guide to whale watching PDF gives tips on what to bring, together with tell-tale signs of whale activity such as v-shaped spray from the Southern right whales’ double blow holes, waves breaking on the whales backs, and tail slapping in preparation for diving. While the Southern right whales’ migration takes them to South Africa, humpbacks migrate to Ile Ste Marie off the east coast of Madagascar. 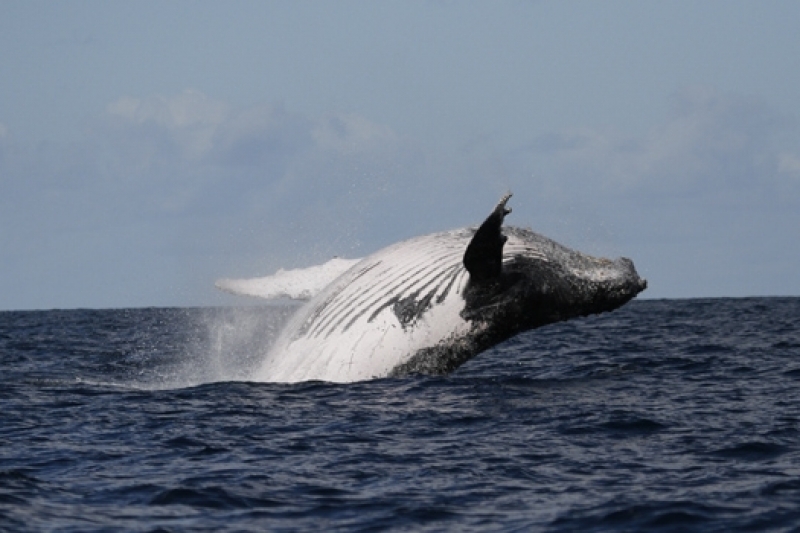 The shallow channel between mainland Madagascar and Ile Ste Marie protects the whales while they visit the area breeding and calving, between June and September, but also makes whale watching relatively easy by boat or from high points on the shore. After four months the calves are big enough to accompany the adult whales on their migration back to the South Pole and the krill rich waters that surround it. Clients staying at Princesse Bora on Ile Ste Marie can accompany the researchers from Megaptera for a full day boat-based whale watching, helping in data collection, including sounds, behaviour and whale descriptions. Sodwana Bay is the last beach in South Africa before the Indian Ocean coastline heads into Mozambique, and it’s on this stretch of sand that both loggerhead and leatherback turtles come ashore to nest. Leatherback turtles average 1.5 metres in length and can weigh up to 700kg, while loggerhead turtles are small at an average of 80 cm and a weight of up to 200kg. Spending most of their time in the open ocean the two species make only brief visits onto land to construct nests and lay eggs, coming ashore between October and March when the sand temperature is sufficiently high to incubate the eggs. 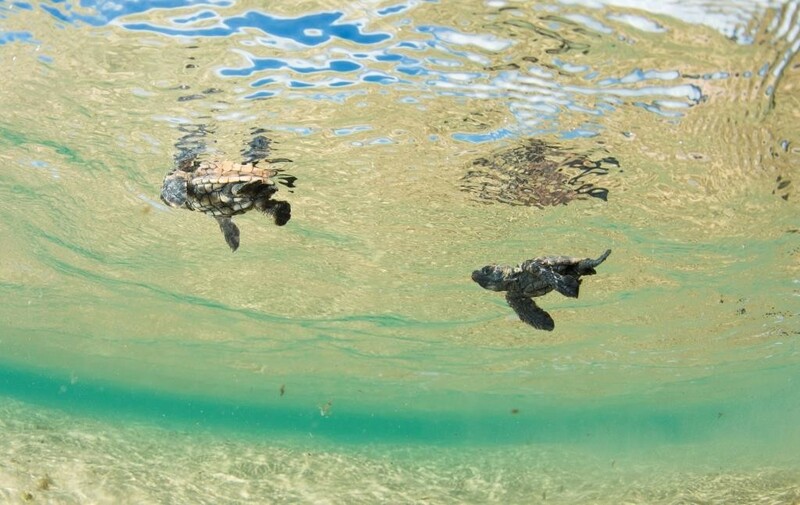 Having migrated back either to the beach they hatched or at least nearby, all turtle exhibit similar nesting behaviours, generally climbing the beach and excavating a chamber above the high tide line into which the eggs are laid. Once the process is complete the female turtle returns to the sea, perhaps repeating the procedure every 11 or so days through the nesting season. Both turtle species lay over 100 eggs in every clutch. Wilderness Safaris runs turtle night drives and walks from Rocktail Camp to see the turtles laying in the early season and then the hatchlings dash for the ocean later on. Like all wildlife migrations nothing is ever guaranteed, but being in the right place during the right season means a much better chance. 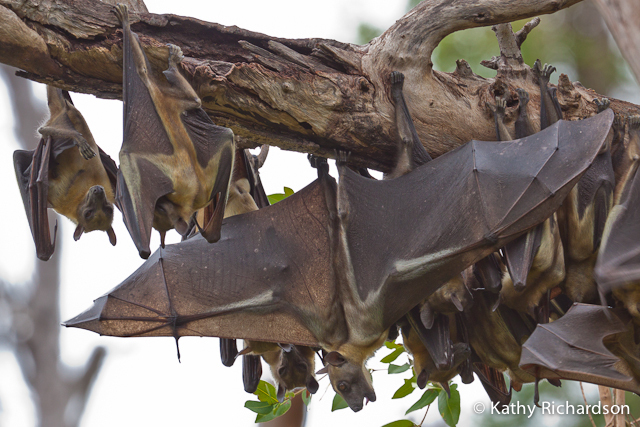 And while the wildebeest migration has over a million animals moving together, up to ten million fruit bats migrate to Kasanka in November to take advantage of the food available on ripening fruit trees. They base themselves in one stand of trees, absolutely covering the trunks and branches during the day. As the sun sets they take off, almost together, to search for food, filling the sky. 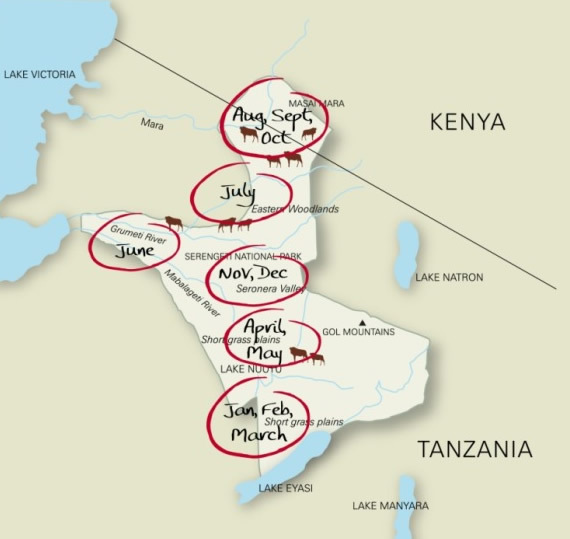 The Aardvark Safaris team has lived and worked in Africa, experiencing these wildlife migrations first hand. All you need to do is email us or call us and tell us what wildlife migrations you’d like to see and we’ll do the rest, giving tips and advice, and then putting together a full detailed itinerary. 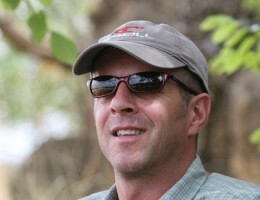 I want to do the Masai Mara safari & witness the migration especially the river crossing in September for me & my wife. What is possible? I look forward to your reply by return.